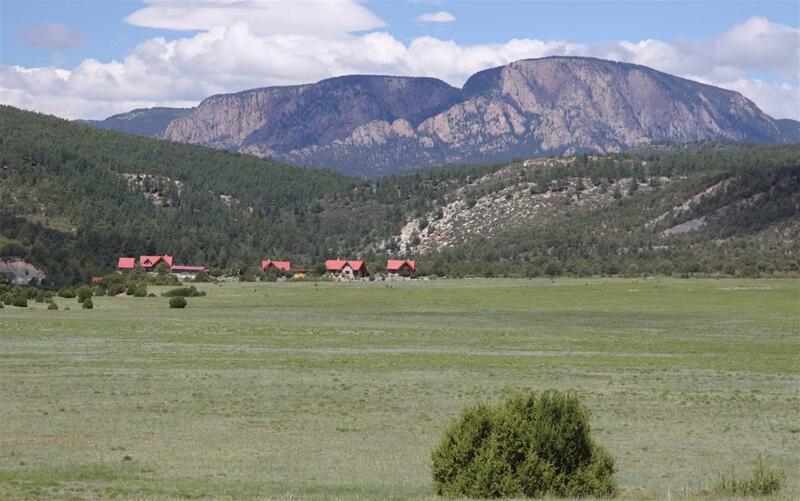 La Bonita Ranch is well located just north of Las Vegas, NM where the mountains meet the plains.The handsome eight year old owners' compound of four adobe casitas overlooks a wooded canyon and offers perfect western views of Hermit's Peak. 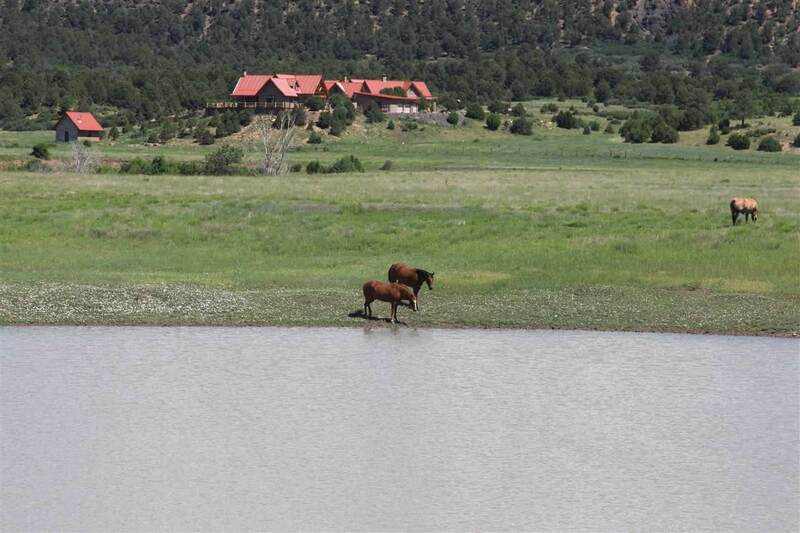 The wrap-around deck of the main house is perfect for viewing the abundant wildlife including elk, mule deer, wild turkey, fox, bobcat and bear. Beautiful rolling grassland and the meandering (seasonal) Bonita Creek lead to Horseshoe Pond, which attracts waterfowl. Exceptional craftsmanship is evident in the custom built owners' residence and three 1 bedroom adobe guest casitas. 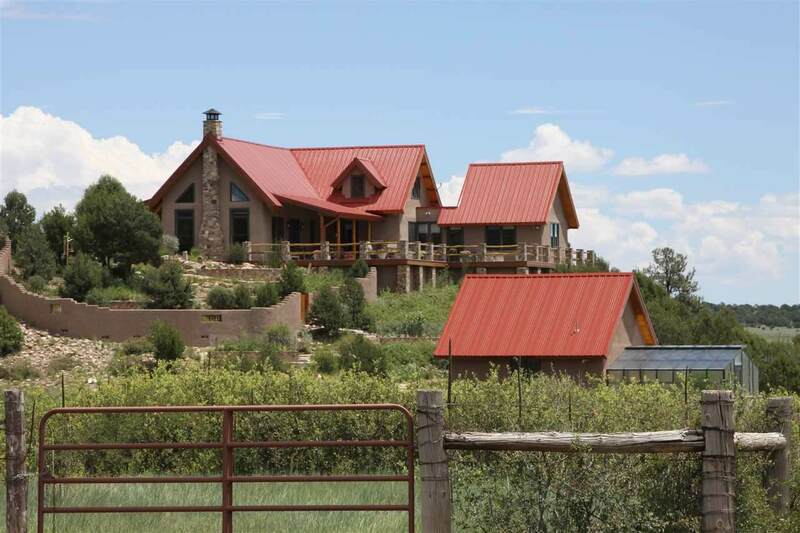 There is a large common outdoor entertaining area with a fireplace and adobe walls. About 1/4 mile away is the original ranch headquarters with two employee houses, a 54' x 80' traditional horse barn, (including a bath and bunk room), metal 25' x 50' shop, an equipment shed and numerous corrals with pipe fencing. The ranch currently uses 3 wells, has a shared interest in a 4th well, and has a livestock well in the canyon that would need a pump and power source to operate. It is perimeter fenced and cross fenced. The grassland is in great condition and is currently used by the ranch's quarter horses and native wildlife. 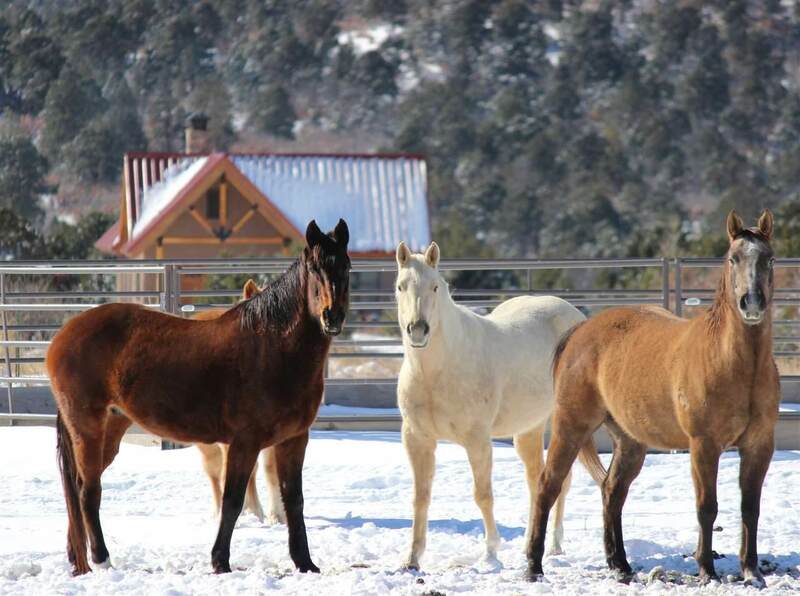 La Bonita Ranch is a well cared for place with an unusual combination of good grazing, mountain land and quality improvements all with easy access, just over one hour from Santa Fe. Excellent ranch management is also in place. Listing provided courtesy of Margo Cutler of Cutler, Margo, Ltd.. © 2019 Santa Fe Association of REALTORS®, Inc. MLS. All Rights Reserved.